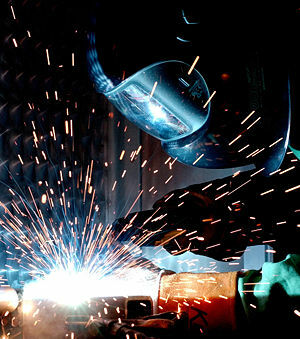 Steel Work Ru, OOO always applies an integrated approach in order to achieve the best results for the Customer’s tasks. We are able to provide you with the complete set of services including technical audit of the equipment and the solving of the target challenges accompanying them with the guaranteed services and maintenance. assembling of SWIP® hardfaced wear plates and hardfaced lining; assembling of final products made of SWIP® hardfaced wear plates; restoration, hardening and repair of equipment subject to wear, with application of a variety of wear-resistant materials; performing of repair and recovery works "on a turn-key basis" on the Customer’s premises.